We might even have had the Fairy and Trixie! 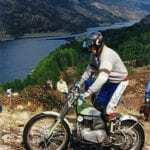 Recalling his days at the BSA Group’s Umberslade research centre, reader David Myers – not, incidentally, the Hairy Biker – reveals some of the things that went on there, and after reading our recent Last Drop Saloon feature, concludes that the group had proved itself perfectly capable of incompetence long before the establishment opened. 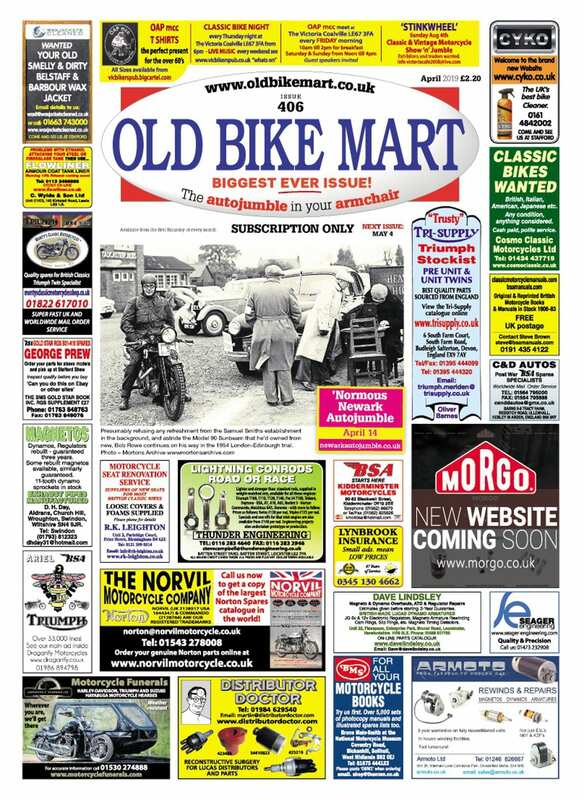 I always look forward to the arrival of Old Bike Mart early each month. First I look at the Letters to see who’s checking in, and what nostalgia we might be covering this time. I really like to see Jim Lee’s name in there, for he never fails to provide some great wisdom about this motorcycle passion we all have. 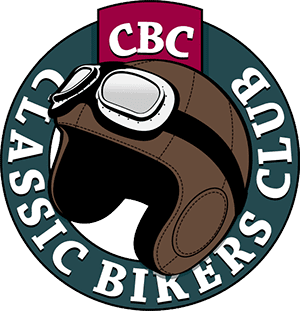 When the BSA Group enjoyed a strong demand for its products, motorcycles such as the Bantam (of German DKW origin) sold like hot cakes – but when the ‘Japanese invasion’ of the 1960s spawned a growing demand for sophistication, the answers were far too hurried and came far too late. This Mortons Archive photo from the glory days shows BSA Bantams being used for cycle pacing. Photo: Mortons Archive. Pete Kelly’s article in the May issue, Final orders, please, at the Last Drop Saloon, was most enjoyable for its scope and accuracy. So many who touch on the demise of the great BSA Group make a lot of guesses and speculations to create their stories, and present them as fact. 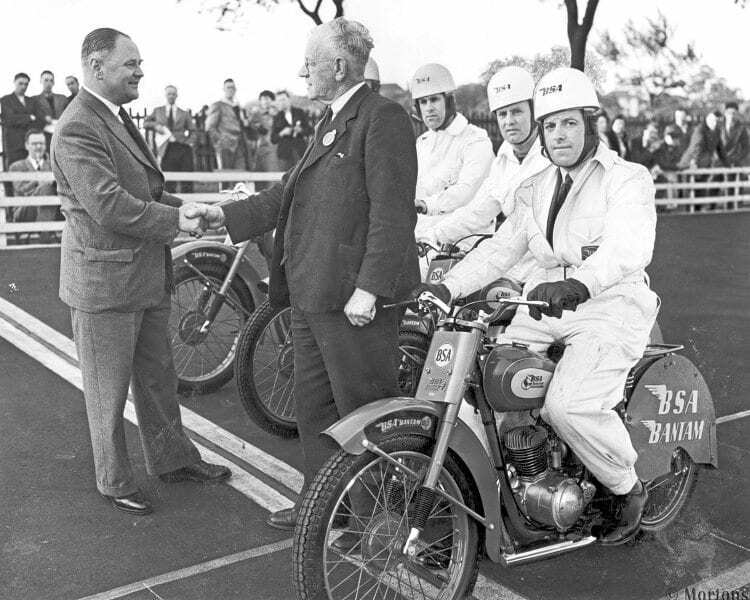 Discussing the name Ariel 3, the article tells us that Honda had called their similarly principled trike the Gyro, and Pete wrote: “Now why couldn’t our brain-dead publicists have thought of such an appropriate word…?” The unfortunate bikes listed were the Beeza, Dandy, Pixie, Beagle and Tina – so how impressed would he have been to think that Edward Turner wanted the Tina to be the Fairy – and at Umberslade Hall I saw the Trixie decal on file for what became the Ariel 3, so it was a close-run thing but whatever they’d been called, it wouldn’t have made them any better! 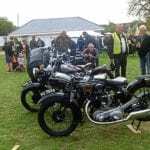 The long list of failures might also have included the BSA Sunbeam and Triumph Tigress, and the Bandit and Fury wouldn’t have been out of place either, although a fair bit of editorial has been dedicated to them already. The article portrayed very well how BSA went about its projects, for some 60 years ago, when publicists were not really necessary because there was a demand, BSA could sell whatever it made, and generally rushed models into production, developing them with the customer, who simply thought that unreliability and breakdowns were a fact of life, and as time went on the quality of products deteriorated as production levels increased. 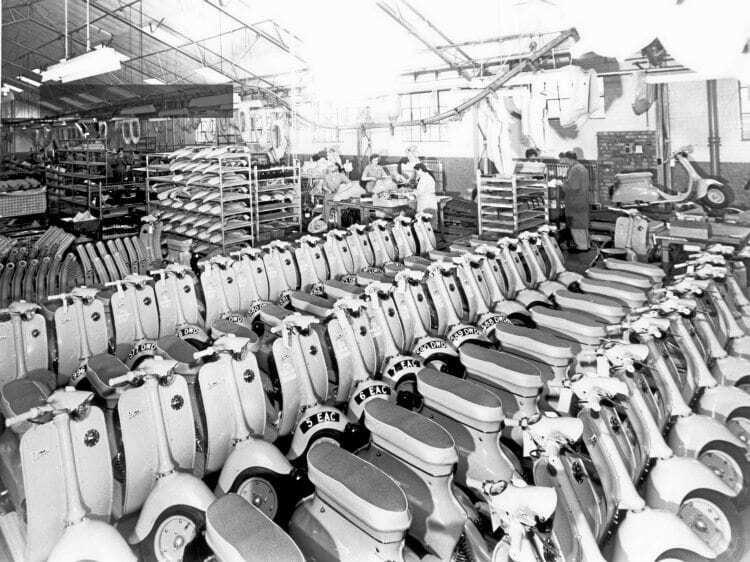 Hope shines eternal on the Triumph Tina production line. Photo: Mortons Archive. It would be disrespectful to call the designers of the day “brain-dead”, because they had made the company into the largest producer of motorcycles in the world. 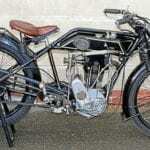 They did make some very serious mistakes, however, and the Dandy was the first to show that a company as large and powerful as BSA could force through to production a mechanical design that was ingenious but fundamentally unsound. 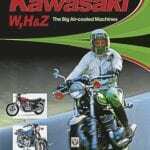 I seem to remember that Bert Hopwood described Japanese motorcycles in that way in the early 1960s. My dad had a Dandy, maybe 18 months old, and it wasn’t starting very well. He told me to look at the points and reset them. 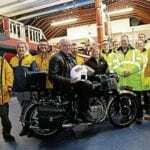 I was 11 or so, and this was routine on the James, Francis-Barnett and Excelsior motorcycles that he had around at the time (we always seemed to have a few ‘work bikes’ available for him to sell on).